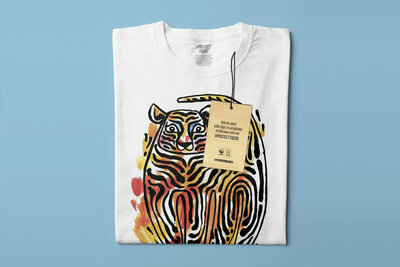 Bas Kosters and the World Wide Fund for Nature (WWF) together collaborated on the design of an exclusive collection of T-shirts. Each shirt is uniquely numbered from 1 to 3900. This number stands for the alarmingly low number of tigers remaining in the wild. 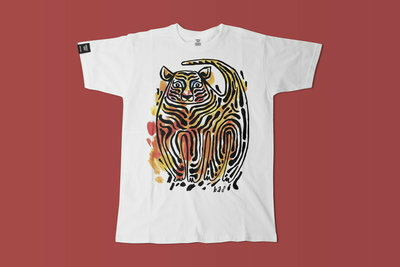 This animal, and tiger prints in general are a classic pattern in the fashion industry. 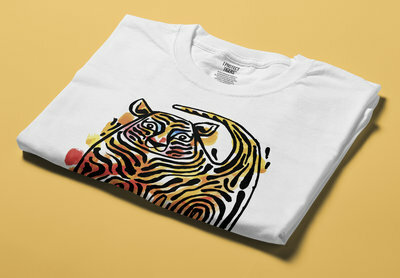 While tigers are often seen as a style icon, this apparel preference has done very little to benefit the species itself. This understanding prompted BrandBase to decide in favour of this fashionable concept angle. Bas Kosters was a logical choice for BrandBase. ‘The designs by Bas Kosters are both fascinating and relevant to society. 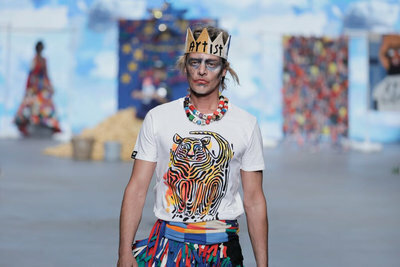 In addition, Bas has been known to use a lot of prints, precisely the patterns that reflect the beauty and splendour of the tiger,’ as creatives Tjeerd Buntsma and Jonathan van Loon explained. A hundred years ago, about 100,000 tigers lived in the wild. As a result of poaching and the destruction of natural habitats, only 3,200 individuals remained in 2010. 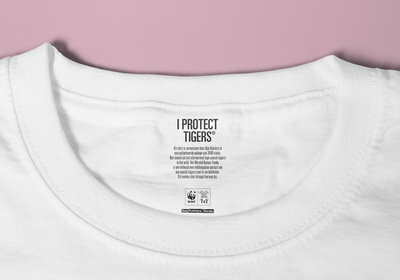 This was the reason for WWF to launch a world-wide rescue plan with a goal of doubling the number of wild tigers. This plan not only combats the greatest threat, wildlife crime, but also contributes to the protection and preservation of the remaining natural habitats. Furthermore, WWF was able to convince politicians around the globe that economic growth should not come at the detriment of wild tigers. This approach has already produced results: for the first time in years, wild tiger numbers have risen to 3,900. 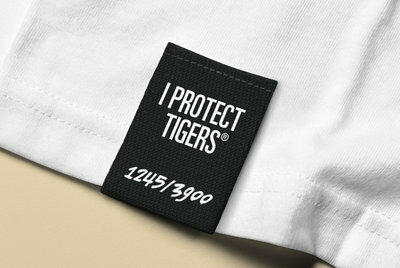 The tiger shirts are available from wnf.nl/iprotecttigers at a symbolic price of € 39.00. 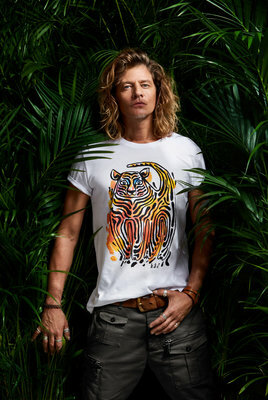 Your purchase and wearing the shirt will contribute towards doubling the number of wild tigers by 2022, the new Chinese year of the tiger. BrandBase is a full-service creative agency and the originator of brand activation in the Netherlands: www.brandactivation.com. We create activation campaigns that inspire and influence people and that people love to share. Digital content, film, video, promotions, premiums, advertising, sponsoring, PR, and events – we will use any means to achieve our goal. That is what we do best and that is how we build successful brands, in close partnership with our clients. Do instead of talk. For more information about BrandBase or WWF, please contact Thijs van Schothorst, thijs@brandbase.nl, +31 (0)20-470 35 70.